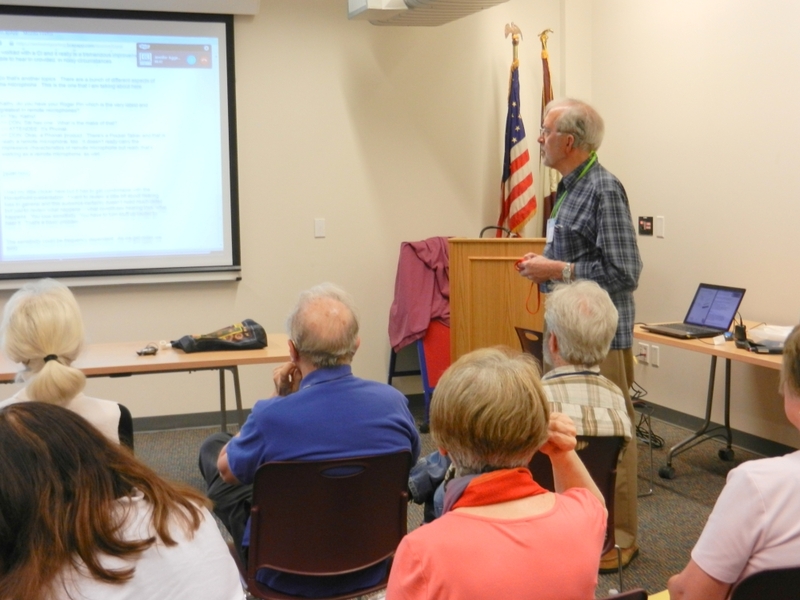 There were sixteen in attendance as Don discussed a wide variety of remote microphone configurations. 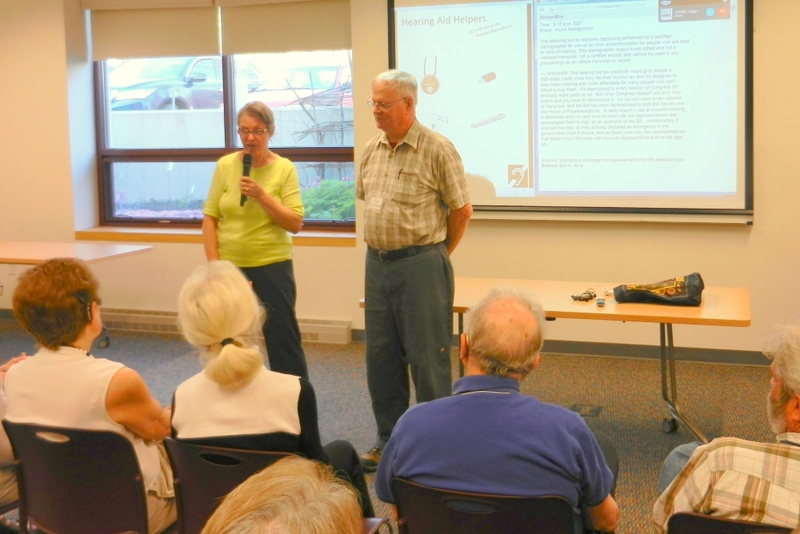 Audience members contributed their observations and demonstrated devices that have been useful. Don Describes Tin Cans on a String. 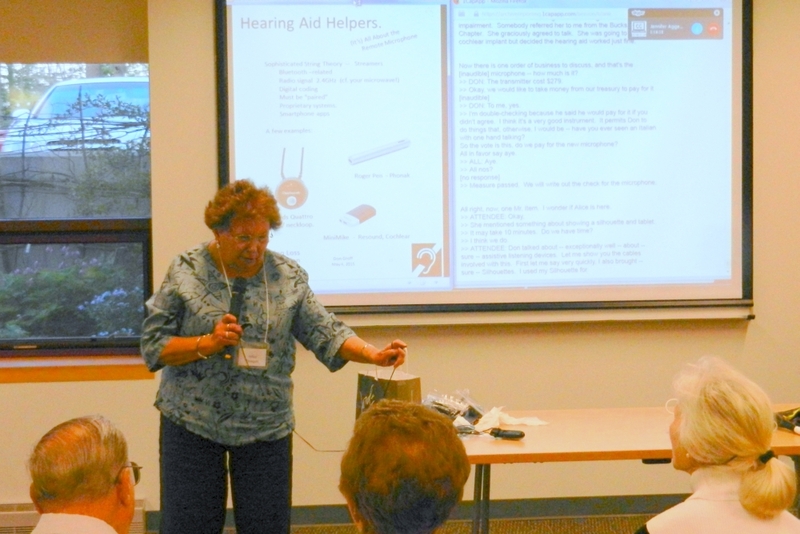 Don Groff will review the range of devices that are available to help in those situations where hearing aids are not enough. The fundamental device for these situation is the remote microphone. 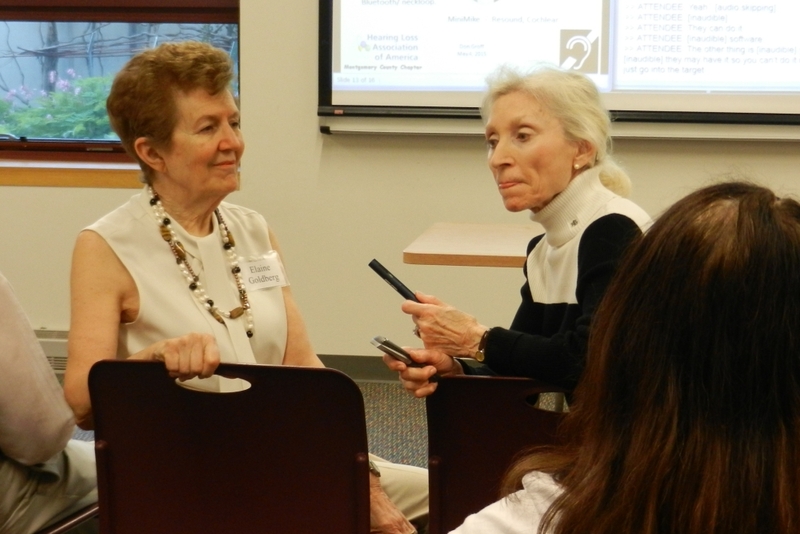 The discussion will be in the context of the most primitive Hearing Assistance Technology – two tin cans on a string! Tin Can #1 often a microphone of some sort, but could also be the sound track of a movie, or even a cell phone. The String might simply be a wire, an FM system, an IR system, an induction loop, or a Bluetooth-type RF streaming signal. Tin Can #2 could be a headset or a T-coil in your hearing aid. There might even be a second string and a third tin can! In all cases, the goal is to bring the desired sound directly to the listener’s ear, with minimum reverberation and background noise, no matter if the cost is $10 or $1,200.